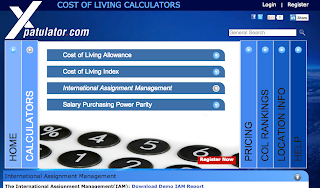 The International Assignment Management Calculator (IAM) is a new calculator set out by Xpatulator to help calculate a typical assignment for an expatriate of between 6 months to 5 years duration, the compensation and benefits are worked out on your choice of home and host location, family size and position. Clear guidelines are set out within the IAM Report to make an international assignee or expatriate's transfer fair and financially viable. 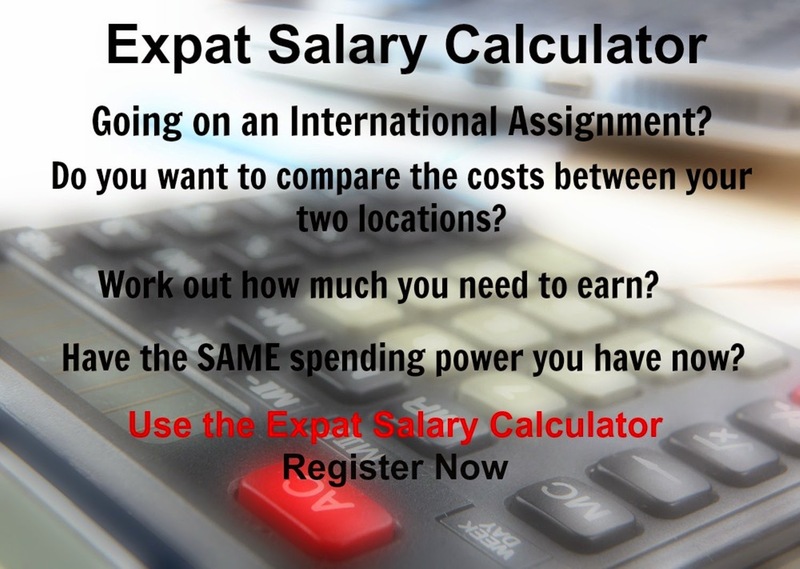 The Calculator takes cognisance of the reward structure and market dynamics of the home and host country and calculations use the build-up / balance sheet / home based approach and include hypothetical tax, cost of living index, hardship premium, exchange rate, expatriation premium, benchmark housing allowance and benchmark transport allowance. The objective is to ensure consistent equitable treatment and benefits for all expatriate assignees and have a user friendly reward structure to provide seamless coverage for different family scenarios. Take a look at our Demo Report here or register to use the new calculator. An expatriate move can be a stressful experience, moving a family along with you can create tensions. Avoid financial stress by ensuring that you make the right decision on the compensation you should be receiving, instead of accepting any offere that is being presented. Xpatulator.com also offers Salary Purchasing Power Parity, Cost of Living Allowance and Cost of Living Index Calculators, as well as the NEW IAM.